The concept started with author Catherine Ryan Hyde and her book, Pay It Forward. A kindness paid to another in reciprocation of a kindness done to you is the heart of the story and the movement that’s lifted and challenged millions world-wide. Paying it forward isn’t about paying back the giver. It’s moving the kindness out, like wind breathing through pines. In some ways, it’s no different from any other form of altruism, but the original P.I.F. idea activates a basic truth: “we live today and into the future as one.” I gift my gratitude by helping or giving to another with the gentle caveat the receiver does the same for someone else. Pay It Forward has moved me beyond making gestures or just doing something nice. It has taken my hand and walked me through the feel-good gate into a garden of true connection. I’m gifting a copy of my novel to a 13 year-old boy whose Mom wrote to tell me how excited he was about the first pages of the e-book version. Why? Because he loves turtles. He rescued a land turtle and a tortoise from owners who didn’t know how to care for them. His animal friends are now healthy and happy. He and I have had a great e-mail exchange, and he and his mom will be looking for ways to pay it forward, too. Thank you, Catherine for creating, and living on, the pay it forward path. Four years after the Deepwater Horizon disaster it’s hard to find irrefutable good news. Billions of dollars and countless numbers of scientists and project staff are focused on understanding and fixing the large and lingering damage. Predictions about the future are cautious to non-existent. What’s clear is the Gulf and the creatures that depend on it are still struggling. While tourists and locals in a news video shot in New Orleans said they had no health qualms about eating Gulf seafood, an oil industry worker/sports fisherman in a Fox News clip bemoaned the disappearance of red fish in his home waters. In a Reuter’s piece last week, Jules Melancon, “the last remaining oyster fisherman on Grand Isle,” says all his leased oyster beds are barren. Seven fishing grounds off the Louisiana coast remain closed. Cat Island in Barataria Bay, Louisiana, once a teeming pelican rookery, is devoid of stabilizing vegetation. It’s wasting away. The oil/dispersant mix that soaked into the soil poisoned mangroves and all the other plants. The muck is still there, destroying any chance new vegetation will secure a toe-hold. Restoration has begun in some areas hit by the spill, but it’s expensive and slow-going. Researcher/oceanographer, Mandy Joyce of the University of Georgia is part of a team, making the first dives in four years to the Macondo well blow-out site. U.S. Navy submersible, “ALVIN” used by the research team this month. Where nothing survived four years ago, this week she saw eels, skates, and a vampire squid. Conclusion: recovery is happening. However the sea floor is covered in an inches-thick oiled layer. The long-term effects are unknown, and while heartened she cautioned not to extrapolate the positive signs across the entire area affected by the original spill. The National Institute of Health (NIH) is in the early stages of its 10-year study on the human health impacts to those who lived in the area and worked on clean-up. It may be years, maybe never, before the true health effects of the spill are known. Many of the sick, lacking health insurance, can only wait and hope their claims survive the complicated bundle of paperwork and court battles between the government and BP. BP has spent tens of billions of dollars in fines, clean-up, and compensation. That figure has almost doubled in court fights, the company attempting to overturn or delay payments. Locally, rifts have developed between claimants who have received settlements and those denied or still waiting. Lawyers have claimed a lion’s share. In the meantime, BP has successfully bid on 24 blocks offered for lease in the Gulf of Mexico. These are the company’s first new U.S. offshore leases in two years, which include government approval for deep-water drilling. New leases for deepwater drilling are handed out to companies every year, yet improved regulations and design requirements on blow-out preventers promised four years ago remain non-existent. “The N.A.E. (National Academy of Engineering) report warned that a blowout in deep water may not be controllable with current technology,” the N.Y.Times piece concluded. I was at a low ebb this afternoon after researching articles for this post, when in came an e-mail from Adrienne McCracken. She’s the Field Operations Manager for Loggerhead Marine Life Center in Juno Beach, Florida. Adrienne’s Kemp’s ridley hatchling is the eye-catching baby turtle on the cover of my novel, Elizabeth’s Landing. Leatherback sea turtle crawl track, Juno Beach FL 4/20/2014. Photo by Adrienne McCracken, Loggerhead Marine Life Center. She said, “Happy Easter! We had our own version of an egg hunt this morning with a leatherback and a loggerhead nest…” Whoo-hoo! Life goes on, and as Maria the biologist in the book tells Elizabeth, “It’s a one-turtle-at-a-time job.” This morning Adrienne and her group enjoyed two, with hope for 200+/- hatchlings in a few months. 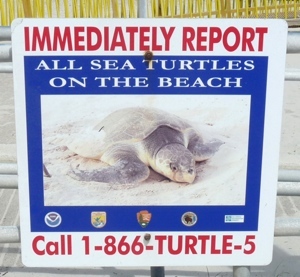 Thank you Loggerhead Marinelife Center, and all sea turtle conservation groups for being on the beaches year-round. 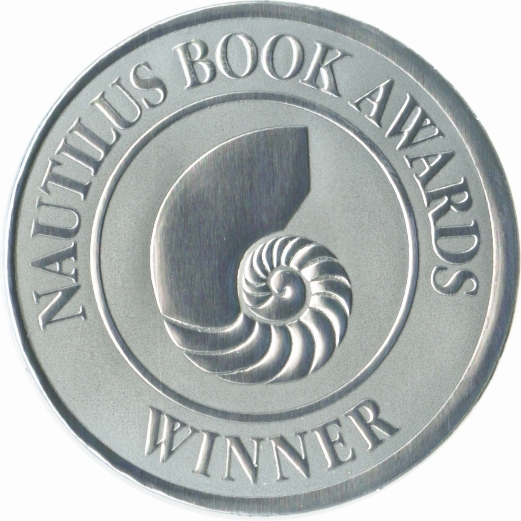 The second piece of good news, at least for me, came yesterday from the Nautilus Book Awards. 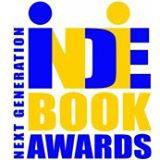 Elizabeth’s Landing earned a 2014 SILVER award for Young Adult Fiction. 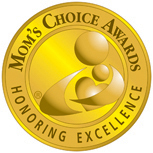 Last year, Nautilus GOLD and SILVER award winners included three authors I love: Barbara Kingsolver for Flight Behavior, Louise Erdrich for The Round House, and Brene’ Brown for Daring Greatly. In April, Elizabeth’s Landing was awarded FIRST PLACE in Fiction in Writer’s Digest’s 2013 “Self-published e-book Awards.” I am deeply honored by both awards and hope they help bring more attention to the desperate plight of all sea turtles. It’s spring, and with it comes new energy and possibility. Bloom where you can. Barbara Kingsolver’s novel Flight Behavior, photography, ignorance, and a meadow walk aligned like personal, fated stars one day last month. My first photography show, Flora abunda is a wildflower image exhibit at CA State Parks’ Ford House Museum. As a hobby photographer and rank amateur in biology and botany, pulling all the pieces together has been a delightful, if sometimes challenging, eye-opener. A local expert made sure my plant i.d.s were correct, and pointed out, in passing, two plants that are food sources for the immature stage of two rare and endangered butterflies: the Behren’s Silverspot and the Lotis Blue – a species considered extinct here for over 30 years. While compiling the show, I was also writing a short article for the San Francisco Chapter of the Women’s National Book Association. They wanted my thoughts on women authors such as Barbara Kingsolver, Elizabeth Gilbert, Ann Patchett who, like me, feature the environment (and related human interactions and impacts) in current novels. I’d recently read Flight Behavior and Gilbert’s The Signature of All Things back-to-back. One afternoon flower photos, Latin names, endangered lives, words and themes clogged my brain. I headed out to a nearby forest park and meadow to strain the mental debris. As I stepped out of the woods into the bright, grassland light, I had a my own “Dellarobia” moment. A blue butterfly, barely bigger than a quarter, lit on a grass blade beside me. My feet became one with the path. The Lotis! It’s got to be. Can’t be. “Are you?” I asked. It took less than ten minutes to get home, retrieve my camera, and return to the spot. As I crept closer, it seemed impossible he would still be there. Ten minutes in butterfly years is probably twenty human years. He had precious little life to spend waiting for me. I’m sure I heard his rebuke at my approach. “Just give me a few seconds,” I pleaded, snapping shot after shot. For a few hours I rode on hope he was the Lotis. Turns out he’s naught but a common variety blue. Still, my encounter proves–as if it needs proving–books fire imagination and the best ones, connection. Flora abunda wildflower exhibit continues until June 30th, 11:00 to 4:00 daily. Opening reception Saturday, April 12, 5:00 to 7:00 p.m. Sponsored by the Mendocino Area Parks Association (M.A.P.A. ).